The Port Moresby City Hall plans yet another new initiative to upgrade its day markets so that their doors be open in the night to address the shopping need of working-class residents. NCD Governor Powes Parkop made this proposal known to the management of Boroko market today in a low-key, surprise visit to the facility in Port Moresby. The visit was received by vendors who have been longing to rub shoulders with him. 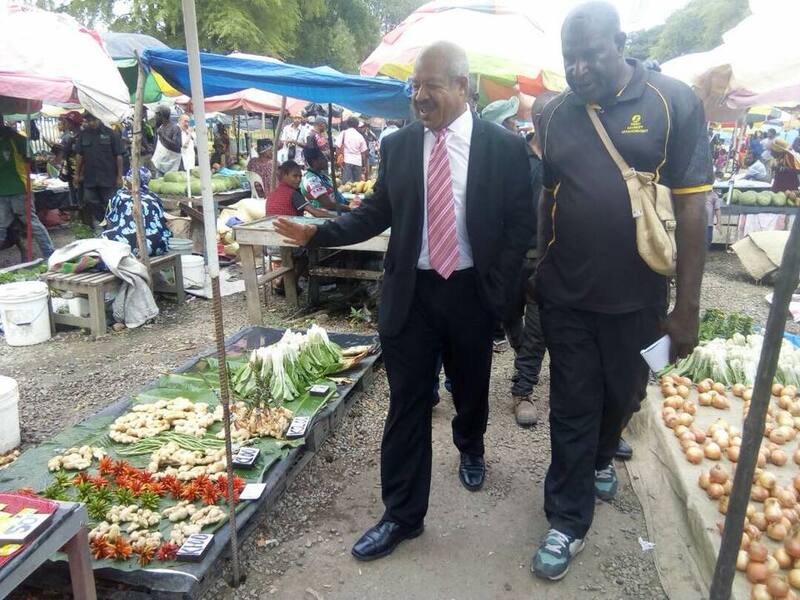 They greeted Governor Parkop with smiles, hand-shakes and claps of applause from all corners of the market facility when he was touring along the stalls. Mr Parkop said many other cities around the world enjoys safe and peaceful markets, citing Vanuatu's Port Villa is home to a 24-7 market. He said they needed to start piloting the plan at Boroko Market, adding there is nothing wrong for the city to replicate it when others have done it successfully in their city. Vendors have not only used this opportunity to interact with their leader but also expressed their concerns to him on what needed to be improved in the facility. Amongst others, their requests include the main 4-Mile bus-stop be suspended and moved closer to the market so it can attract more buyers, a truck to deliver wholesale cargoes to other markets, upgrade the toilet facility to having more rooms for shower and toilet, more canopies for vendors to protect themselves from rain and sun and for the markets to also be open on Sundays. Responding to them, he said on the movement of bus-stop, the function lies fully with the Department of Transport and that he will discuss it with them despite it being a main challenge for him to manage the public transport in the city better. Commending them for a job well-done-since its opening last year- in maintaining a safe, secure and peaceful market unlike a few others, Parkop has challenged the management to do more to create an environment that is not just for residents to buy garden food but also for them to come and spend their leisure time. "They do not necessarily have to go to Vision City or other shopping malls to do that. We can provide that environment in our market facilities," he said.